Marina Matousekova is a partner at CastaldiPartners, whose practice focuses on Arbitration and Litigation & Mediation. She advises clients in ad hoc and institutional arbitration proceedings (in particular UNCITRAL, ICC, LCIA or ICSID Rules) related notably to energy, telecom, investment, construction, joint ventures and complex commercial disputes. She frequently seats as an arbitrator. Before joining CastaldiPartners as a partner in 2018, Marina Matousekova practiced within the international arbitration team of Shearman & Sterling LLP in Paris and Milan from 2011 to 2018. Previously, she practiced arbitration and litigation for six years at Castaldi Mourre & Partners. 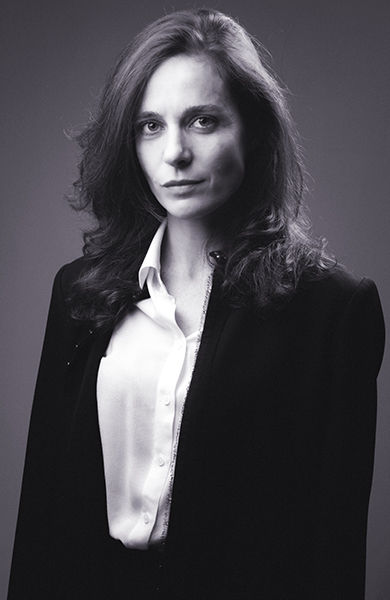 Marina Matousekova is a member of the Advisory Board of the Italian Forum for Arbitration and ADR (Arbit), of the ICC French Commission on Anti-corruption, of an International Contracts Working Group, and of the Editorial Committee of the International Business Law Journal. She was a Research Assistant for Italy for the New York Convention Guide Project www.newyorkconvention1958.org. Marina Matousekova is admitted to the Paris and New York bars. She is fluent in English, French and Italian and proficient in Czech, Slovak and Russian. Representing an Italian EPC Contractor in an ICC arbitration initiated by a subcontractor in relation to the construction of an urea plant in Holland. Representing a French transport & logistics company in an ICC arbitration dispute initiated by an African shareholder in relation to the acquisition of the assets of an insolvent group. Representing an Italian company in a dispute before French courts related to the termination of a project for the construction of an Eolic park. Representing an energy company in an ICC arbitration relating to the construction of an oil & gas production facility in North Africa. Representing a North African State in an UNCITRAL arbitration initiated by a mobile network operator for alleged breaches of a bilateral investment treaty. Representing a State-owned company in an ICC arbitration relating to a joint venture agreement for the development of a mine to exploit a zinc deposit in Africa. Representing an African State in an ICSID arbitration relating to the introduction of a windfall profit tax on oil and to the interpretation of certain contractual provisions of a production sharing agreement as purported stabilization clauses. Representing an Italian steel group in an ICC arbitration related to a privatization in an Eastern European country. Representing an Italian designer and manufacturer of aircraft spare parts in an ICC arbitration initiated by a leading German service provider in the civil aviation industry. Representing an Indian joint venture partner in an ICC arbitration against an Italian corporation in relation to the operation of a leather plant in India. Representing a French pharmaceutical company in an ICC arbitration relating to the license and manufacturing of health products. Representing a leading Swiss group in power and automation technologies in M&A post closing disputes before French courts. Representing a Greek steel company in the annulment proceedings of an ICC award brought by a German gas producer before French courts on the ground of contrariety with EU competition law. Istanbul Arbitration Association, "Artificial intelligence in international arbitration", November 2018, Istanbul (Turkey). International Chamber of Commerce, "Extra work and concurrent delays: two recurrent issues in international construction arbitration", November 2018, Bratislava (Slovakia). Russian Arbitration Centre, "The future of the New York Convention 1958: version 2:0? ", October 2018, Moscow (Russia). Parigi-Italia Arbitrato, "Recognition and enforcement of foreign awards in France and Italy: a comparative analysis", October 2018, Rome (Italy). ASA below 40/Arbit, "Party Autonomy: Use it widely, Use it efficiently", February 2016, Rome (Italy). International Chamber of Commerce/Young Arbitration Forum, "The reform club opens to a worldwide community: International arbitrators at the dawn of the 21st century", January 2015, Turin (Italy). Camera Arbitrale di Milano/Arbit, "The Energy Charter Treaty: New frontiers after 20 years of application", November 2014, Milan (Italy). Annual Conference of the European Society of Construction Law, Bocconi University, "Construction contract, arbitration and ADR", October 2014, Milan (Italy). Camera Arbitrale di Milano/Arbit, "Drafting of arbitration agreements: Do’s and Don’ts", An open forum for young practitioners, February 2014, Milan (Italy). Lewiathan Court of Arbitration, "Disputes relating to representations and warranties in M&A transactions", May 2010, Warsaw (Poland). 2nd forum of the Association Française des Juristes d’Entreprises, "How to draft an arbitration clause", January 2010, Paris (France). 8th forum of the Association -Française des Juristes d’Entreprises, "How to optimize costs and time in an international arbitration", June 2008, Paris (France). 1st Mediterranean - Middle East Counsel Forum organised by the European Court of Arbitration, "Cross border insolvencies", September 2007, Rome (Italy). M. Matousekova, Y. Lahlou, "The role of the arbitrator in combating corruption", International Business Law Journal, pp. 621-648, December 2012. M. Matousekova, Y. Lahlou, "Chronicle of Private International Law Applied to Business", published on a quarterly basis in the International Business Law Journal from January 2006 to December 2010. M. Matousekova, "Private international law answers to the insolvency of crossborder groups of companies: comparative analysis of English and French case law", International Business Law Journal, pp. 141-163, March 2008. M. Matousekova, "Would French Courts Enforce U.S. Class Actions Judgments? ", Contratto e Impresa/Europa, pp. 651-676, December 2006. Northwestern University School of Law, Chicago.